Over lunch with an old friend today, I was describing the ebb and flow of lighting striking in my life this past year. You know, those times when everything seems to be brimming over like a glass stuck joyfully into a champagne fountain at a wedding. But this isn’t always so in life, and this year, after walking away from a successful career and a nice, steady paycheck with benefits to launch myself as an author, there have been some low moments. The kind where you just pray and pray things will work out. My friend understands this better than most of the rest of the people in my circle. He’s a business owner too after leaving his corporate job to venture out on his own. And he’s made it despite the highs and the lows. These past few months I have had unexpected gifts show up like lightning. Now I love lightning. I think if it struck the tree right in front of me, I would say, “Cool.” Lightning can also illuminate a dark night like no other so we can see the thunderous clouds rumbling with all their potency. 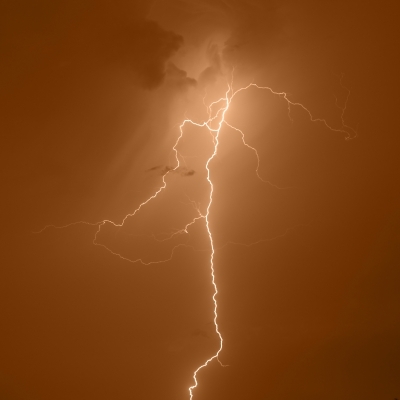 Anytime I see those amazing bolts, I am always in awe, marveling at their beauty. And that’s how I’ve felt about these unexpected gifts. The two I wanted to highlight have arrived to support me as an author. Kristen literally arrived like lightening in the sky, and I am so grateful we have found each other. Now Ian…well, he arrived like that too, as a surprise guest at a conference I hadn’t been planning to attend, and now he’s given me what I’ll call a bushel of magical apples, only the good kind. I must in all truth admit that it’s still a little shocking even to me—someone who totally believes in supporting other people—that others would step forward and support me like these two have. Like lightning. None of us build and live our dreams alone. For every person who helps me build and live mine…well, my heart simply overflows with gratitude. Our dreams are precious treasure. Many of us don’t ever allow those gems to come into the light, fearing rejection, poverty, or doubting our own abilities to operationalize such a dream into reality. My Dream Helpers delight me, and I am deeply grateful to Kristen and Ian for supporting me as an author. Who might help you make your dreams come true? Keep a look out. Someone special just might be coming ‘round the bend. Glad you’ve had these unexpected gifts, Ava. I’ve also had some ‘dream helpers’ in the past few weeks and it’s an amazing feeling. Like you, I’m also deeply grateful. Divine rockstar. Bestselling author. Global awakener. Wishing you easy roads and happy moments. Receive more inspirational posts like this! Your email is the one thing I'll never share. Pinky promise. Copyright © 2019 Ava Miles, Inc. All rights reserved. Design by Works Progress. Photos of Ava courtesy Kathia Zolfaghari.